It may not quite match the image quality from an APS-C format DSLR, but the E-PL2 produces high quality images, with plenty of detail and colour noise control at the higher settings is impressive. Olympus's Pen range of Micro Four Thirds compact system cameras seems to have captured the imagination of more photographers than its Four Thirds system ever did. The main reason for this is likely to be that the Micro Four Thirds cameras and lenses are considerably smaller than the Four Thirds DSLRs, yet they have the same sized sensor. Although the Four Thirds system promised smaller cameras and lenses than APS-C systems, it never quite delivered the size and weight savings that many people expected. This combined with the image quality compromises resulting from the cameras' smaller sensor meant that the Four Third system failed to attract the following that Olympus hoped for. Capitalising on digital technological developments, live view in particular, has enabled (Panasonic and then) Olympus to omit the reflex mirror and optical viewfinder arrangement of a traditional SLR and produce significantly smaller cameras and lenses. After a period of indecision these hybrid cameras have become know as compact system cameras (CSCs). 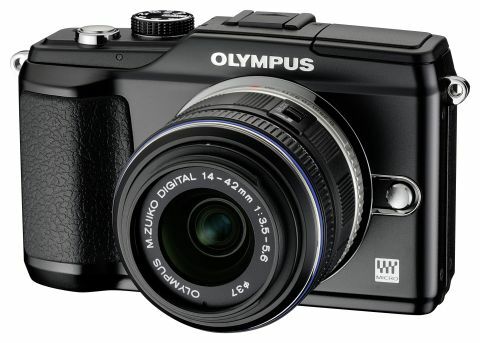 The fact that Olympus is so far the only traditionally photographic manufacturer to produce a compact system camera may have helped the Pen series find favour with some experienced photographers looking for a smaller alternative to a bulky DSLR. However, it hasn't all been plain sailing and the omission of a flash from the Pen E-P1 and E-P2 was strongly criticised. Olympus's most recent introduction, the Pen E-PL2, now faces fierce competition from Panasonic, Samsung and Sony, with rumours constantly circling that the two big DSLR players, Canon and Nikon will enter the CSC fray soon. It means Olympus has a lot riding on the E-PL2.